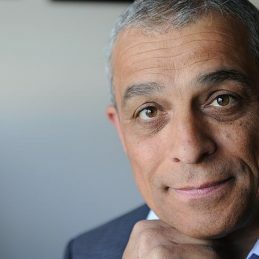 Charlie Bezzina became a member of the Homicide Squad in 1989 and was involved in approximately 150 Homicide Investigations and fatal police shootings, and over 300 investigations into suspicious deaths. He was involved with Police shootings inquiry into high number of fatal police shootings at the time. The cases he was involved with included the murder of heart surgeon Victor Chang and the investigation into serial killer Paul Charles Denyer. He was promoted to Senior Sergeant 1995 and transferred to the western suburbs to relieve at various police stations and Criminal Investigation Branches before becoming Officer In Charge Westgate District Drug Task Force-Footscray area. He transferred back to Homicide Squad 1997 as team leader. The investigation into death of 4 infants in one family originally believed to be SIDS related. The underworld murder of Alphonse Gangitano. The extradition of homicide offender from Baltimore USA. The extradition of two homicide offenders from Vietnam. The investigation into society murders of Wales King. The investigation into manslaughter of David Hookes. He transferred to Footscray as Officer In Charge of the Embona Armed Robbery Task Force and retired from Victoria Police Force on the 30th November 2009. Charlie is now a Herald Sun Columnist and expert commentator in Police/Law/Court issues, as well as a media commentator. He’s an Ambassador for Swann Security and Police Blue Ribbon Westgate Division. He’s the President of the Sunshine &Western Region Sports Club raising funds for sporting youth in the western suburbs, as well as working as a private investigator and corporate speaker.